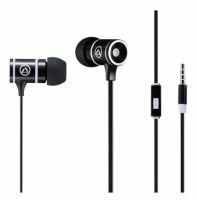 The Amplify AMP1004BKGR Amplify Pro Load series Black earphones with Mic is available for R65. The product is sold by ComX Computers as new. Prices are valid today 2019-04-22 (before 2019-04-23 , by quote, while stocks last). The product is expected to be in stock, although this is not guaranteed.